​Add in the most rewarding Player’s Club program in the state, and you have a reason to join us every day. Every day features rewarding promotions, exciting drawings and the potential to hit the big jackpot. Is slots your game? Cities of Gold features the best and latest selection of your favorite slot games, including progressives. Watch for the next slot tournament for a chance to score big! 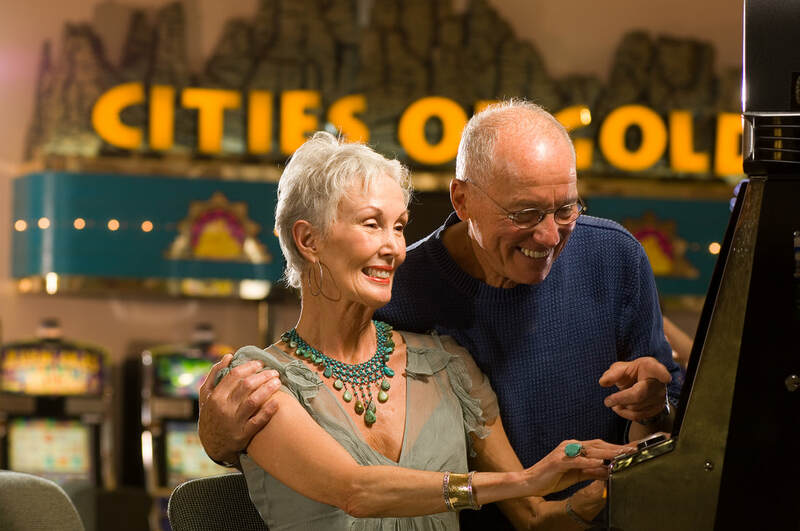 ​Looking to go Old School, Cities of Gold is your place with the only dollar coin games in the state of New Mexico. If you still love the sounds of coins coming out of your machine we have it. Add in the most rewarding Player’s Club program in the state, and you have a reason to join us every day. Every day features rewarding promotions, exciting drawings and the potential to hit the big jackpot. There are $1,000 main session payouts, one $10,000 jackpot game, several other high stakes jackpot games. With annual payouts of over $2 million, any day can be a pay day. It’s true — there are More Winners…More Often™. Times subject to change. Call the bingo hotline at 505.455.4242 for daily jackpot information. Copyright © 2017 Cities of Gold Hotel and Casino, All rights reserved.